They SAY Autumn is a time to slow things down, ready for a winter of hibernation. Well, I think I must have lost the memo! This quarter has started off full of adventure, appointments, engagements and programmes with absolutely no signs of letting up! Myself and Cam from The Marketing Academy – anchor away! 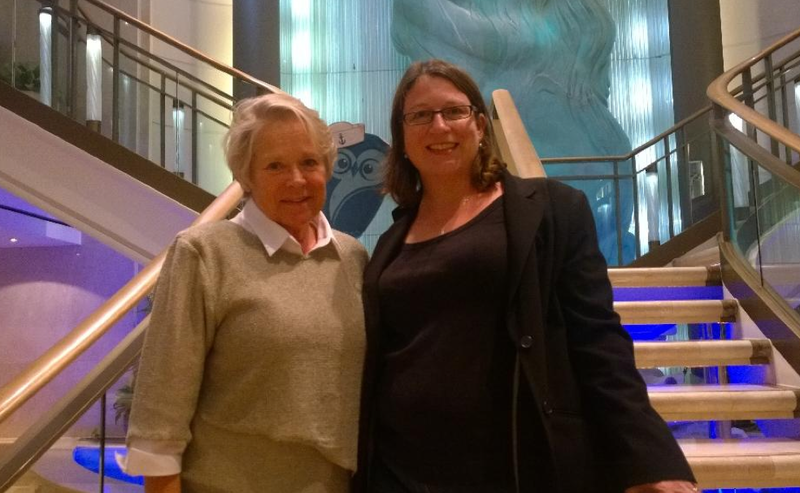 Just over a fortnight ago, I was thrilled to be invited onto the Aurora cruise ship as a keynote speaker along with the fabulous Sherilyn Shackell from The Marketing Academy. It was a networking opportunity to meet some lovely people and listen to some excellent talks by inspirational speakers. Two speakers stood out for me – one being Sherilyn. I was always enjoy hearing Sherilyn speak – she is fun, to the point and leaves a very clear message. On this occasion she was talking about taking responsibility for your own career and, as always, got great feedback. 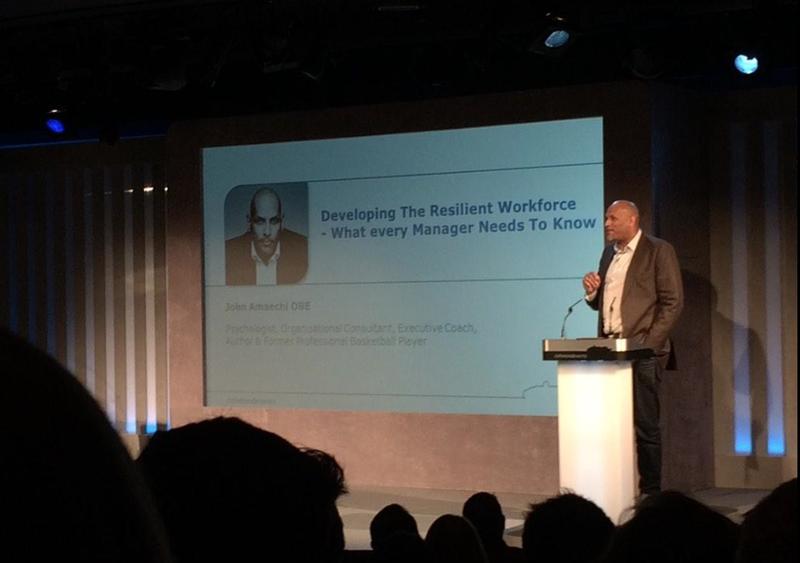 The other speaker that I really enjoyed listening to was John Amaechi – retired basketball player, psychologist, owner of an OBE, awarded a medical degree as a doctor of science and overall very impressive person! My one regret is not getting a photograph with him: because standing at 6 feet 10 inches, well, it would have made quite the picture!! The 3 day cruise was spent meeting many new people which I always enjoy, some of whom I have already met up with again, culminating in my speaking slot on the Friday evening, and our final day. The weather was interesting to say the very least as on the second day the people who were due to get off couldn’t and the speakers who were due to come on board couldn’t get there either – this included the band as well! Guernsey must have had an influx of speakers and musicians! Richmond Events did a darn good job of coping with somewhat challenging experiences and it really seemed as though everyone enjoyed it and got a lot out of the experience. Being something that I had never done before there is always a degree of trepidation as to whether what you are to deliver – my subject obviously being personal leadership – will sink in especially when you are on at the very end. However, I got really great feedback with 3 people in the group coming up to me afterwards and saying ‘best talk of the cruise’! Made my trip very worthwhile – thank you Sherilyn and Richmond Events for inviting me – overall a truly brilliant experience. Last week I ran the first two days of our very first PA/EA’s programme, for PA’s to managing directors and CEO’s. It’s brand new and was fully booked within hours of releasing the details: an exciting project that I really feel is one of the best programmes I have delivered – what a very special bunch of people they are. I am so looking forward to the third and final day in December. This week, from Sunday I am off to run a top team programme in Houston, closely followed by a speaking engagement in Kitzbuhel, a trip for meetings in Edinburgh (really good as I can make a trip of it and sneak in a day with my gorgeous eldest daughter), followed by a return to Houston! Whenever am I going to fit in the Christmas shopping? Who was it said that they were going to retire! !